Here is the fourth installment of the School Branding series. As school administrators, we want to have our school identified as a place where parents are proud to have their children attend. We want them to talk about our school and teachers with pride. With Social Media, communication among parents and other members of the community has become so much easier. We have to come to the realization that there will be conversations about our school on Social Media, especially Facebook. We hope that these conversations are positive ones. Unfortunately, many times, people jump on Facebook more to share something negative about a school than the good things. That’s where we have to be a little more proactive. I have to admit, this is an area where I have failed. I am in charge of the Facebook page for my school, and as of this posting, I have dropped the ball. This post is written to myself. I have plenty of excuses to explain why I haven’t updated our school’s Facebook page, but the bottom line is that it hasn’t been done, and it’s hurting my school’s brand. This will change, however. Here are a few reasons why it’s important to not only have a Facebook page, but to keep it updated on a regular basis – again, this is written more me. 1. Promote the good things. Let Facebook know about the Students of the Month, the Teachers of the Month, other awards and recognitions. 2. Share important information. When is the next Awards Assembly? Parent Orientation? Back to School Night? Band Concert? We assume that students tell their parents what they hear on the announcements, but they don’t. 3. Clarify confusion. Sometimes wrong information gets shared about your school. Facebook can help to clear things up. 4. Humanize your school. Introduce your parents to the Admin Staff. Share your hobbies and funny office photos. Let parents know that there are normal, friendly people working at your school. 5. Share inspirational stories. Post about that teacher who is running in a marathon to raise money to fight breast cancer or that student who is returning t0 school after being in an accident. It doesn’t all have to be about making the grade. 6. Recruit volunteers and promote fundraisers. Get some help sending the band to Disneyland. You’d be surprised how many people will help if they know more about the event than just what the kids tell them. 7. Promote the WHY. After reading Starts with Why and Leaders Eat Last by Simon Sinek, I have been focusing on the WHY of everything I do. 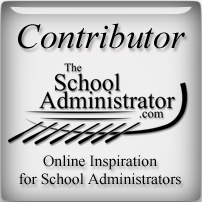 As a school administrator, your WHY needs to be front and center of your communications to both your staff and to every other stakeholder of your school. Facebook can be a great place to remind followers of your WHY. For more on sharing your WHY, check out my post on Preaching Your Vision. Here are some suggestions for creating and updating your Facebook page. 1. Make your Facebook page attractive. You can probably find an artistic teacher or student who can really make it look nice. Include your school logo and vision statement. 2. Give Admin rights to more than one person. 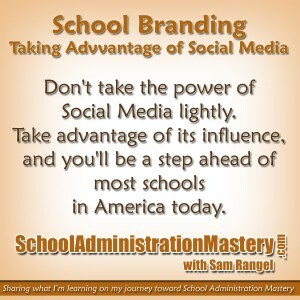 Identify other administrators and teachers who understand the importance of school branding, and let them help update the Facebook page. Go ahead and give them decision-making power. Don’t ask them to check with you before posting. That’s micromanaging, and micromanaging dehumanizes the people working for you. I learned this from Dennis Bakke, but that’s for another post. 3. Monitor the page. You don’t want to be surprised with what’s being posted on your page. Social Media is being used by successful companies to promote their brand, and to gain loyal followers who spread the good news about what they do. Wouldn’t it be great if good news was being spread about your school and the great things that are going on every day in the classrooms? Don’t take the power of Social Media lightly. 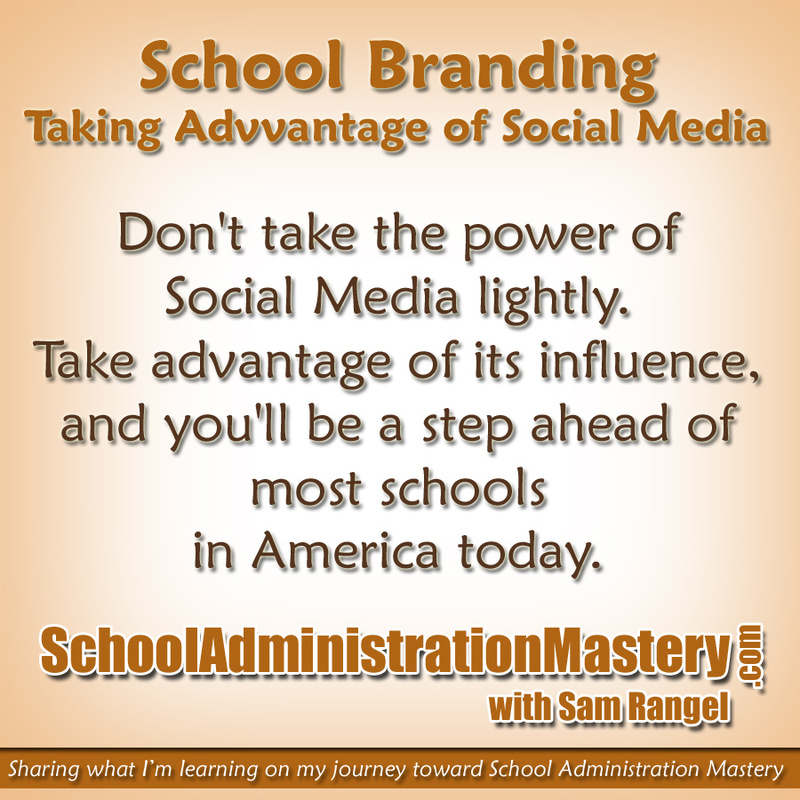 Take advantage of its influence, and you’ll be a step ahead of most schools in America today. I’m going to be spending a lot of time on my school’s Facebook page this week. Does your school have a Facebook page? Please share the link, so others can see.